You’re not getting a free iPad. Nobody is getting a free iPad. 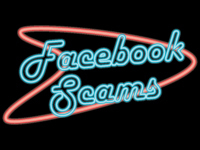 Facebook and Twitter are, once again, just lousy with a new scam. This time it involves Apple’s latest device, the iPad. Personally, I think they’re sort of dumb. They might be good if you’re solely a consumer of content, but they seem limited if you’re actually creating content (video, music, writing, etc.). I’m sure it will be a big hit anyway; there is a very large, dedicated population that answer “Strongly Agree” to the survey question, “I will always buy any new product Apple releases.” Maybe I’m just not hip enough to get it. I don’t look anything like the people in Apple commercials. However, since this object has a huge buzz surrounding it, there are already a thousand “Free iPad” scams popping up, many on Facebook and Twitter. In fact, I just did a search on “Free iPad” on Twitter, and there are several new scam messages being posted every minute. The thing is, this whole scenario seems really familiar. In fact, it’s just one letter away from the “Free iPod” scams that were all over the Internet seven or eight years ago. The only difference is that Facebook and Twitter didn’t even exist back then. The opportunity for scammers to spread their message has grown exponentially—in 2002, they mostly relied on popup advertisements and spam email. Oh, you say the link took you to a Facebook fan page with thousands of comments from people who claim to have received a free iPad? Those are fake. It is so extremely easy to create fake positive comments from fake users. You have to just ignore this garbage, no matter how realistic the offer may seem. For one thing, the iPad hasn’t even been released yet. So there’s no way all these people on Twitter posting “Just playing with Ashley’s new ipad. It was free just for giving an email address at this website” are telling the truth. I’m guessing a lot of these are hacked accounts, but many of them have usernames that follow a specific pattern, which means the accounts were created solely for running a scam. The thing is, even if you know an Ashley and someone you know and follow on Twitter posts this message, ignore it. Tell your friend they’ve been hacked, though. The service? Taking $40/month away from you. I’m sure there are others that take you to infected sites that load your computer up with malware. The bottom line here is this: nobody is giving away free iPads. Apple doesn’t send thousands of free anything to random people for evaluation. There’s still this lingering myth that the Internet is full of offers like that (“Git on the Innernet n’ you get all kindsa free stuff!”), and I’m not sure where it comes from. It’s not true and it never has been. I’ve been using the Internet since around 1994 and I’ve never once seen a legitimate offer. Apple is a company that has a singular vision; they already know what their audience wants. Testing is done in-house, not by sending out millions of dollars worth of product for free. By the time it’s at the booth at the Consumer Electronics Show, it’s been tested a million times by people the company knows.